About Meeeeeee | Just bare with me. I write this blog (obvious). I live in Portland, Oregon (not so obvious). I’m a nerdy introverted feminist that has a habit of attracting awkward situations and experiencing deep thoughts about life, so obviously I’m a natural storyteller. I tend to write like I talk, which is why you will see a lot of these guys “( )” and random tangents. 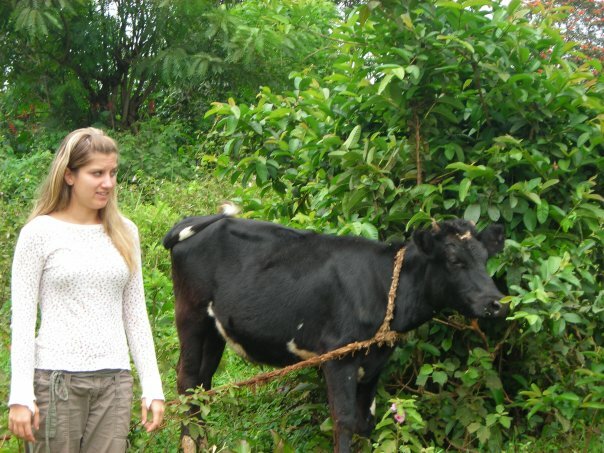 The pressure to sound cool here is unbearable so here is a picture of me with a cow.